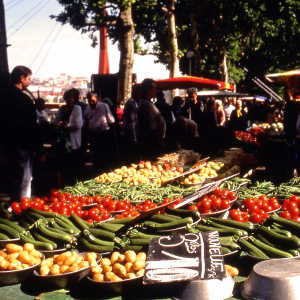 Did you know that there are over 260 markets in and around Lyon? 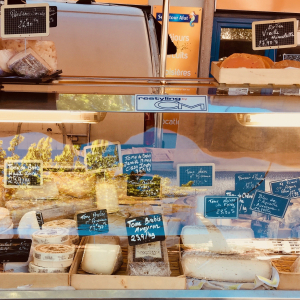 The markets in Lyon sell fresh and affordable products, organic wares and goods cultivated locally using sustainable methods, as well as the crops of small local producers… Each market has its own specialities. Just pick whatever takes your fancy. You can taste-test on site or stuff your pockets full of wonderful souvenirs! Along the Saône river, facing the Old Town, it's Lyon's biggest food market, with stalls of small gardeners and farmers. 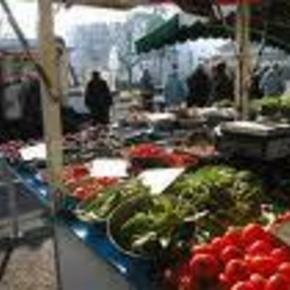 At the heart of the Croix-Rousse, a real village within the city, this market is a real institution. 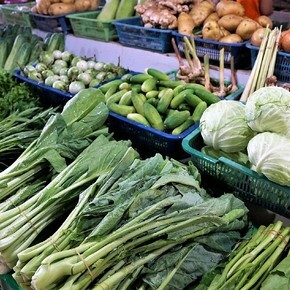 One can find several organic vegetables. 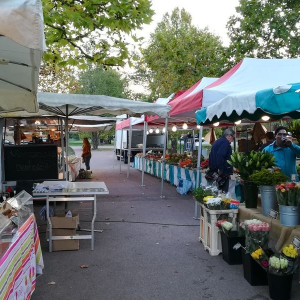 Along the banks of the Rhône, opposite Grand Hôtel-Dieu, enjoy a stroll through one of Lyon’s most pleasant fresh produce markets. 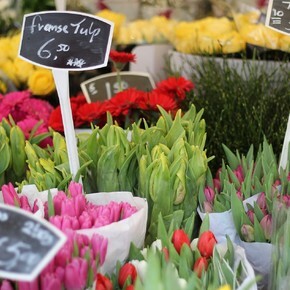 Head for Rue de la Plage (the name alone is synonymous with good living), in Collonges-au-Mont-d'Or to do a spot of shopping at the organic market! 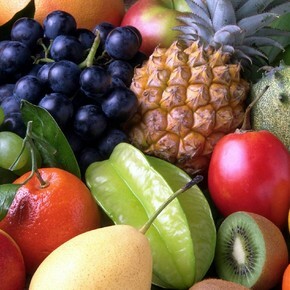 Products sold: fruit and vegetables, cheese, poultry, cooked meat, bread, etc. 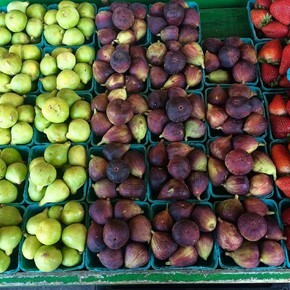 Organic market and local products. 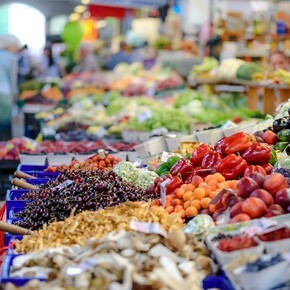 This organic market hosts about twenty traders who exclusively offer organic products (fish, delicatessen, cheese, bread, cold cuts ...). 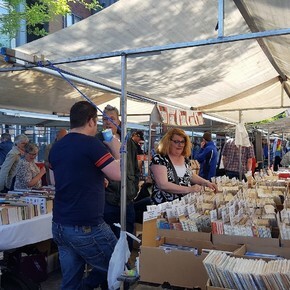 Twice a week, market traders move to Place Jaboulay. 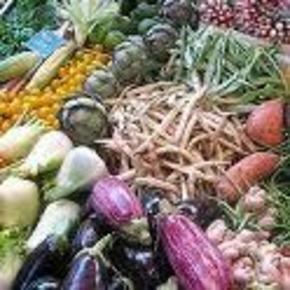 Products sold: fruit and vegetables, cooked meat, bread, etc. 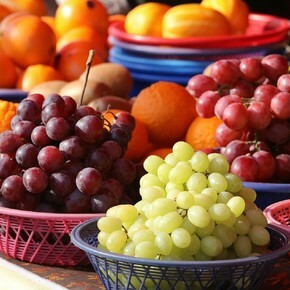 To buy : fruits and vegetables, cheeses, meat, poultry, roast chickens, cold meats, fish, pastry, wine and flowers. 40 traders. 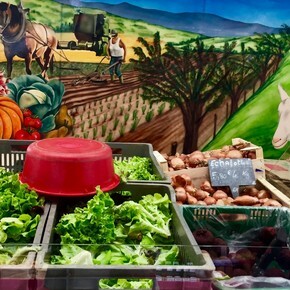 A stone's throw from Lyon, the market for Mas-du-Taureau invites you to travel. 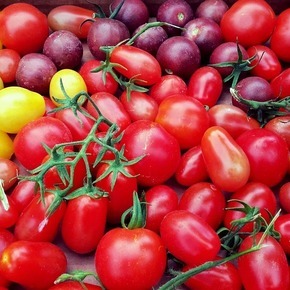 During 2 days, imagine the "Vieux Lyon" in an open-air market! Indoor market. 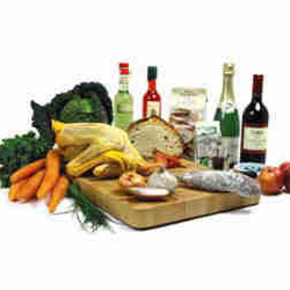 Products sold: fruit and vegetables, cheese, meat, poultry, roast chicken, cooked meats, fish, bread, cakes and flowers. 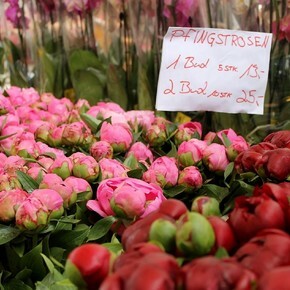 About 20 minutes from Lyon, Craponne's Saturday morning market is one of the largest in the city.